Henry B. Walthall is widely remembered today for his performance as The Little Colonel in D.W. Griffith’s controversial “The Birth of a Nation,” and for his work under Griffith at the Biograph company. 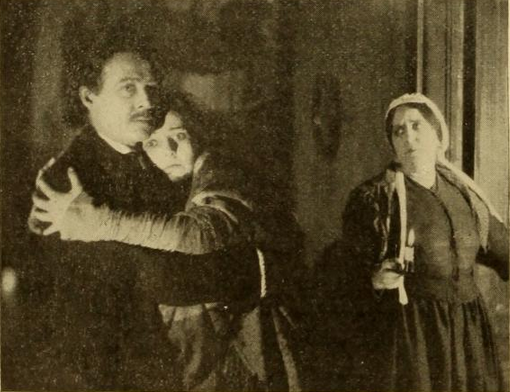 What often gets overlooked and forgotten, however, is that the southern gentleman spent a great deal of time in the midwest, making films for the Chicago branch of Essanay. and via classic film streaming sites like Fandor. 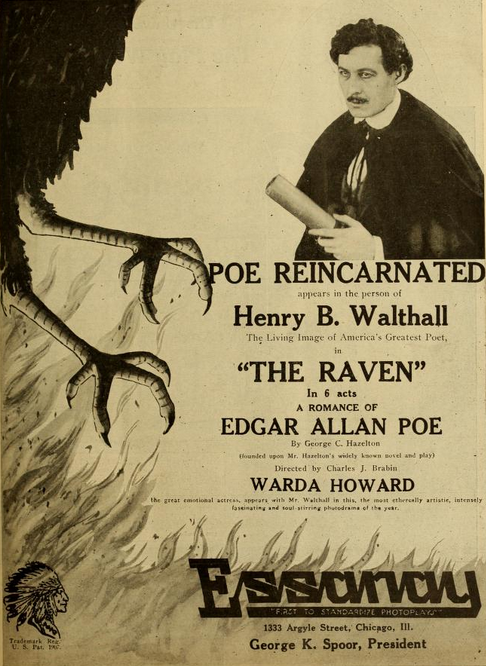 Take the time to celebrate one of Walthall’s lesser known performances and check out “The Raven” for yourself. This entry was posted in Posts by Janelle Vreeland, Silent Films and tagged chicago, classic movie actor, Classic Movies, essanay, essanay studios, Henry B. Walhall, silent film, silent movies, the raven. Bookmark the permalink.